When first contacting Gulf Sotheby’s International Realty, you will be welcomed by our friendly customer care department who will listen to your requirements and quickly and efficiently assign you to a dedicated global property consultant. All our global property consultants are trained area specialists who deal exclusively with properties for lease. To lease a property in Dubai, the minimum requirement is to present your valid visa and passport. If you wish for more than one tenants’ name to be on the tenancy contract, this requirement is applicable to them too. You also need a well-funded current account with a bank in Dubai. Once you have found your perfect property, your consultant will negotiate the best price for you and arrange a lease agreement to suit both parties. When making a property offer, you will be asked to present a security deposit cheque, which is equivalent to 5% of the annual rental amount you are offering. This cheque will not be cashed and is held by Gulf Sotheby’s International Realty until your offer is accepted. Once accepted, our leasing compliance department will prepare the tenancy contracts. Both parties will sign the tenancy contract at this stage and your security deposit cheque becomes non-refundable and will be presented for encashment. Handover is the term that we use when arranging for you to move into your rented property. Our global property consultant will coordinate the process with you. They will collect and distribute the rental cheques, provide you with the contracts and will introduce you to your property. Upon handover of your property, you will need to connect your utilities (electric/water/AC). If needed, Gulf Sotheby’s International Realty can provide you a dedicated Handover Team. That’s it, you’re done! You have now leased through Gulf Sotheby’s International Realty. We look forward to working again for you on your renewal or for your next property if you decide to move. What documentation will I need to lease a property? Prospective tenants are required to present a valid passport, a valid visa page or a visa-processing letter (this can be provided by the HR department of the company you are working with). The required documents are needed from each tenant wishing to be included in the tenancy contract. Who will prepare the leasing contract? The leasing contract is a legal document governed by the Real Estate Regulatory Authority (RERA). 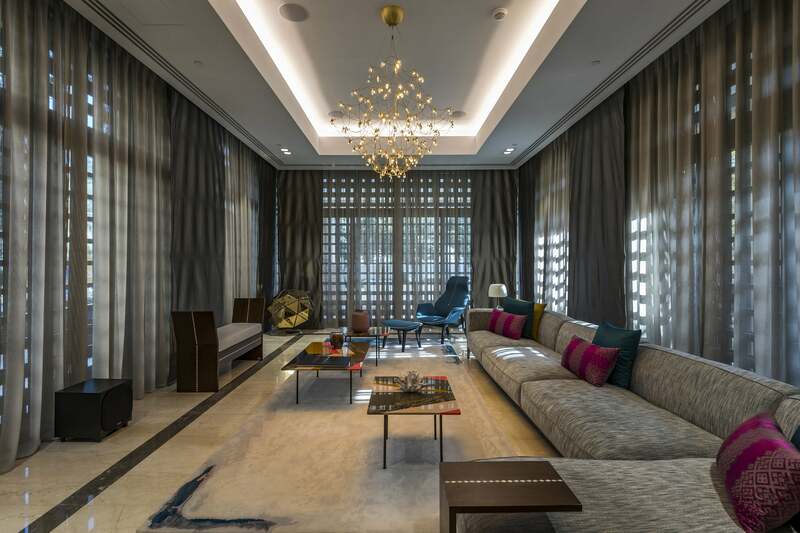 It will be prepared by Gulf Sotheby’s International Realty, signed by both landlord and tenant, and registered with the Dubai Rent Committee. The contract outlines all the conditions of the lease and the payment terms. Do I need to give references? No. You will not be required to provide references to lease a property in Dubai. Yes. Upon selecting the property you wish to lease, a security deposit will be requested from you by a Gulf Sotheby’s International Realty global property consultant. The amount is payable by cheque and is equivalent to 5% of the annual lease amount for unfurnished properties, and 10% for furnished properties. This amount is payable to the landlord. Gulf Sotheby’s International Realty will collect the security deposit amount from you when you sign the lease agreement. All transactions will be done in our office. When the landlord signs the lease agreement, the cheque with the amount of the security deposit will be handed over to the landlord. The landlord has the right to cash the security deposit amount for the duration of the term. This will be returned to you at the end of the lease agreement provided that the property is returned in the same condition it was leased out to you. How are the leasing instalments taken? The leasing instalments are between 1 to 4 payments. They are taken with post-dated cheques spaced evenly throughout the lease term. These payments will be taken in advance when signing the lease agreement and be held by the landlord. The landlord or his/her property manager will cash each cheque according to its due date.